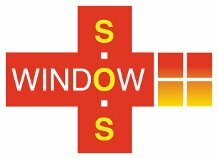 Window SOS - Fascia/Soffits/Guttering, Home Improvements, Windows/Doors/Conservatories based in Sutton Coldfield, West Midlands. Invoice history based on 353 reviews. Window S.O.S Repair, Replace & Upgrade all types of Windows, doors and conservatories. By Utilising our extensive knowledge in the industry gained over the last 29 years we will always give you genuine honest advice. Whether it be a new installation or a misted / broken glass unit, failed lock or even a sticking window or door we are here for you. Most repairs are carried out in a single visit by via our substantially stocked vehicle. Should we not have the required part on hand, using our extensive knowledge we can source a comparable or superior replacement part quickly or from one of our many trusted suppliers. Should you be requiring a new window or door installation we supply & install the very latest 'A' rated triple glazed energy saving products with the most advanced security features at very competitive prices. All of our materials come with a full manufactures guarantee for your peace of mind; we even guarantee our own workmanship. Where ever possible when replacing double glazed units, we will look at upgrading you free of charge to the latest energy saving glass, this giving you an instant saving on your heating bills from the moment we leave your door. Are you worried about the security of your current windows and doors? We have many ways we can increase the security, just ask us for details. If you are looking for any advice regarding a glazing issue, then we would be only too happy discuss with you in person and of course there is no charge for this.